As a Rhodes Scholar, I was a student at the University of Oxford’s Worcester College for two years, 1961-1963. I studied or “read” Philosophy, Politics and Economics (PPE). The University traces its beginnings to the late 12th century after foreign-born students were expelled from Paris and Britian’s King Henry II prohibited British students from leaving the country. Many of their teachers congregated in the city of Oxford. Halls like Gloucester Hall (Worcester’s predecessor) and colleges arose from the need for board and lodging for the students. The distinction of being the oldest Oxford college is usually given to Balliol College, which traces its history to 1263, when John Balliol, one of King Henry III’s most loyal Lords, rented a house in Oxford for poor students. In the early 1960’s when I was there, the University was comprised of over 20 separate colleges. Each has its own history and endowment. Each has its own head and fellows or dons who instructed its students in tutorials. Worcester, for example, had a claim to a 700-year history. 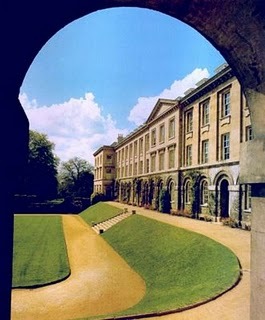 Some colleges were wealthy; Christ Church College was, and still is, reputed to be the wealthiest. Others were not so well endowed. These colleges are spread out all over the city of Oxford, and their buildings are used for various university events. 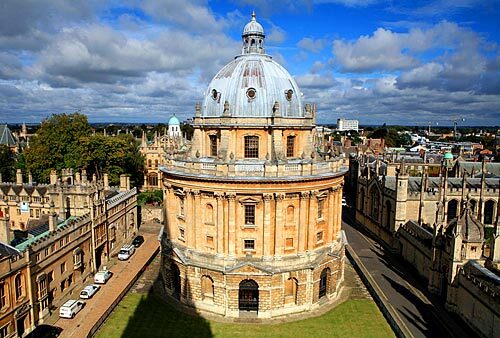 Oxford’s academic calendar is very different from those for U.S. colleges and universities. 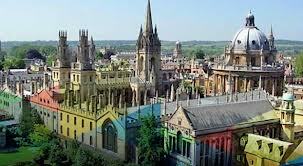 Oxford has three academic terms, each eight weeks long: Michaelmas in the Fall; Hilary in the winter; and Trinity in the Spring. There are six-week vacations or “vacs” between Michaelmas and Hilary and between Hilary and Trinity Terms plus a 16-week vacation or “long vac” in the summer. During the three academic terms, I was focused on preparing for, and attending, two tutorials per week. This meant spending a lot of time in some of Oxford’s many libraries. Most of my time was spent in the ugly New Bodleian Library which was built in the 1930’s and which had the collections focusing on the PPE syllabus. I also spent some time in the library in the beautiful mid-18th century Radcliffe Camera and Worcester College’s own library. I also went to some of the lectures on PPE subjects. These were held all over the city in different University and college buildings. I especially remember attending a lecture in the dining hall of the majestic Christ Church College or “The House” (The House of Christ). 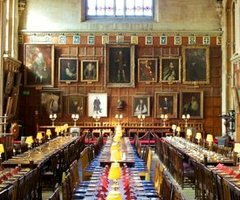 The portrait over the High Table at the end of the hall, where the lecturer stood, was of the College’s founder, King Henry VIII. On the side walls I noticed portraits of some of The House’s many famous “Old Members”(alumni): John Wesley, Charles Wesley, John Locke, William Gladstone and Anthony Eden. My meals were in the Worcester’s Dining Hall. The food was not very creative or delectable English food. For dinner we were required to wear coat and tie and our academic gowns. When the Provost and dons marched into the hall to have their meal at the High Table, we all stood. Then one of the College’s Classics scholars said grace in Latin. There was a custom that if you talked too much about your work at dinner, you could be challenged or “sconced.” In response, you either had to give an oration in Latin or drink a pint of bitter beer in one gulping or pay for beers for everyone at your table. At most I observed this once in two years, and I was not the subject of the “sconce.” Once a week before I got to the hall for breakfast, I could smell kippers (smoked herring); I turned around and went back to my room. Life at Oxford clearly centered around life in your college. But there were occasional social events for Rhodes Scholars at Rhodes House, and each Scholar had several one-on-one conversations each year with the Warden of Rhodes House, E.T. Williams. We would discuss how our studies were going and any particular problems we were encountering. The Warden obviously would dispense advice when needed. I often wondered what he noted in his file on me. Oxford is famous too for its many pubs, and I visited them on occasion. The Turf Tavern on Bath Street was my favorite; I went here for lunch when I was taking PPE Schools. Others in the City were the Mitre on High Street and the Bear near Merton College. Occasionally I went to the bar of the posh Randolph Hotel, which was close to Worcester. 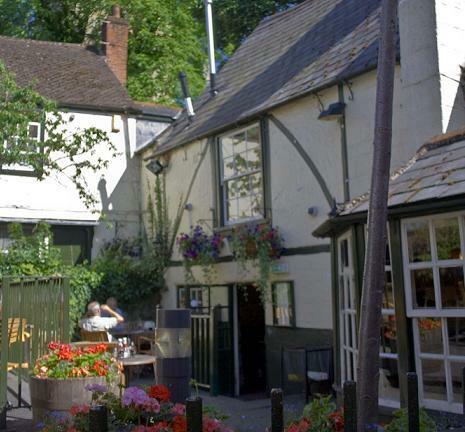 (Many years later when my wife and I returned to Oxford and stayed at the hotel, we noticed photographs in the bar of actor John Thaw who played Inspector Morse in the TV mystery series set in Oxford.) 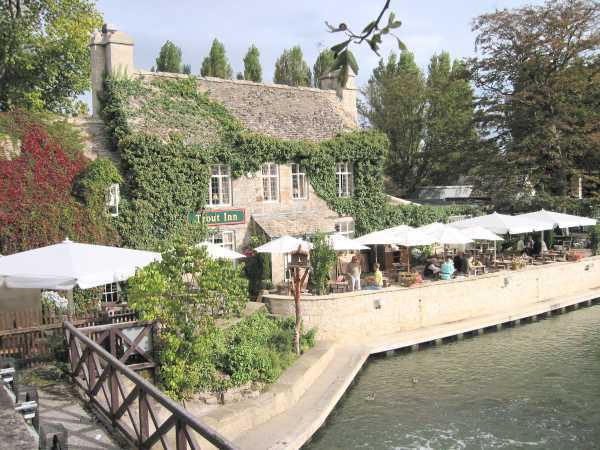 North of Oxford was The Trout Inn with views of the spires of the city from its gardens on the Isis River. Oxford has an active sporting life during the three terms. For the University teams, the most important accomplishment is playing against its main rival, the University of Cambridge, and earning an Oxford “Blue.” In December it was rugby with the match against Cambridge played at the 82,000-seat Twickenham Stadium in London. In the winter it is basketball. In the spring it is track, cricket and rowing. The Oxford-Cambridge Boat Race is on the Thames River in London in April. The big cricket match against Cambridge is played at Lord’s Cricket Ground near London in July. I am not sure about track, but the first ever four-minute mile was run by Oxford University’s Roger Bannister at the track in Oxford in 1954. Each college also has its own athletic teams. In Michaelmas Term 1961 I played prop forward for Worcester’s second rugby team; this position is similar to an offensive/defensive lineman in U.S. football. I was not very good. In Trinity Term 1962 I played cricket for Worcester’s casual team that played teams from nearby villages. I was not very good at cricket either. My most vivid cricket memory concerns driving to a match in an antique and, I am sure, very expensive sports car owned by a Scottish nobleman at the College. As he was turning from the High Street (a major street of Oxford) into a side street (Marsh Lane), a pedestrian who was obviously not a university student was hesitating on crossing the street. The driver stared at the pedestrian and disdainfully said, “Are you going to cross or not?” I cringed to witness this British class snobbery. Another quasi-athletic activity was punting on the Cherwell River before it empties into the Thames River in Oxford. 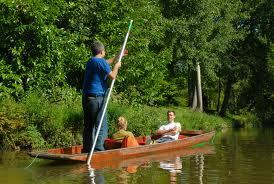 A rather flat boat is propelled by manual use of a long pole, somewhat like the gondoliers in Venice. The punter stands at the back of the punt, half-facing to the side (probably the right). He holds the pole vertically against the side of the punt and lets the pole run through his hands until it touches the riverbed. The pole then is pushed downwards and backwards, gently at first, then more forcefully towards the end of the stroke (because, as your stroke “flattens” and the pole becomes closer to horizontal, less of your energy is going into pushing down into the riverbed, and more into pushing the punt forwards). After Mary Alyce arrived in Oxford in the Fall of 1962, we occasionally went punting. During the three “vacs,” Oxford students were expected to continue their studies on their own, and I certainly did that. But the “vacs” also provided time to travel. I did that as well as will be discussed in future posts. After learning my way around the city of Oxford, I took special delight in just walking or biking in the midst of these glorious historic buildings and knowing how to get to different places in the lanes and byways. For two short years, I joined the thousands who can claim that they were privileged to have been students at the University of Oxford. See Post: Reading PPE at Oxford (June 6, 2011); Post: PPE Examinations at Oxford (June 10, 2011); Post: Oxford’s Lord Franks (June 20, 2011). See also Post: Oxford in New York City (May 17, 2011); Post: Dinner at an Oxford High Table (May 18, 2011); Post: Celebrating Oxford’s Worcester College’s 700th Anniversary (May 29, 2011); Post: Celebrating 80th Anniversary of Rhodes Scholarships (May 30, 2011); Post: Celebrating the Rhodes Scholarships Centennial (June 21, 2011). 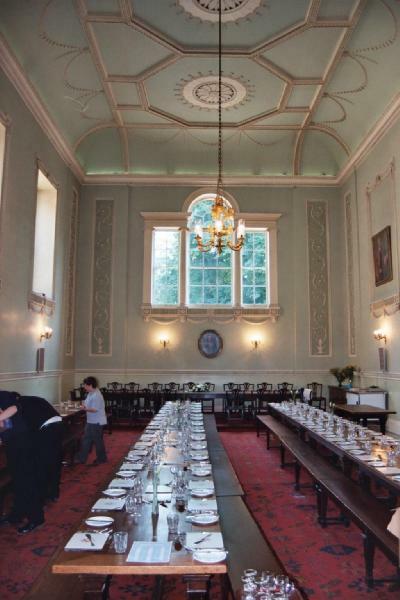 See Post: Celebrating Oxford’s Worcester College’s 700th Anniversary (May 29, 2011). Very much enjoyed this post (as I did many others). Thanks for such an enchanting description. – An Australian Law graduate commencing PPE in October. A great post. I am sure that Oxford in the 1960’s was an interesting place. I don’t like the smell of kippers either.